The dark and raunchy SATELLITE SAM turns up the heat with retailers by offering a scandalous new incentive comic stores won’t be able to resist. Retailers who order ten or more copies of SATELLITE SAM #8 will be able to indulge in the SATELLITE SAM TIJUANA BIBLE—free! In the spirit of Great Depression-era Tijuana Bibles, SATELLITE SAM indulges in the explicit and the definitively adults only content in the format of those classic and illegal bootleg comics—at the same time the cast of SATELLITE SAM #8 receive it themselves. “A perfect combination of (sort of) youthful integrity and (young) elder opportunism,” quipped Chaykin. 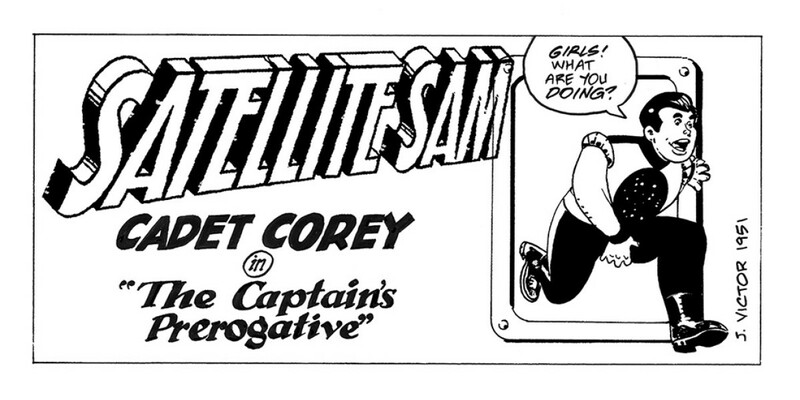 SATELLITE SAM #8, featuring the TIJUANA BIBLE as a story point, arrives in stores on 5/7, and will be available for $3.50. It can be pre-ordered with Diamond Code FEB140626. Retailers who order 10 or more copies of SATELLITE SAM #8 will receive 10 copies of the SATELLITE SAM TIJUANA BIBLE for free. SATELLITE SAM #7 (Diamond Code JAN140613) is available now to order. SATELLITE SAM, VOL. 1 (ISBN 978-1607068525) is available in stores and to order with Diamond Code NOV130453.